Bid adieu to Bordeaux, but also, quite possibly, a hello to Chateau Yellowstone. Researchers predict a two-thirds fall in production in the world’s premier wine regions because of climate change. The study forecasts sharp declines in wine production from Bordeaux and Rhone regions in France, Tuscany in Italy and Napa Valley in California and Chile by 2050, as a warming climate makes it harder to grow grapes in traditional wine country. But also anticipate a big push into areas once considered unsuitable. That could mean more grape varieties from northern Europe, including Britain, the US north-west and the hills of central China. “The fact is that climate change will lead to a huge shakeup in the geographic distribution of wine production,” said Lee Hannah, a senior scientist at Conservation International and an author of the study. Wine grapes are known to be one of the most finicky of crops, sensitive to subtle shifts in temperature, rain and sunshine. The industry has been forward-looking when it comes to anticipating the effects of climate change. Wine experts have known for several years that a hotter, drier climate would change growing conditions in many of the most prized wine regions — forcing vineyards to mist grapes on the vine to protect them from the sun, or move sensitive vines to more hospitable terrain. But the latest findings, published in the journal Proceedings of the National Academy of Sciences, still took the researchers by surprise. “We expected to see significant shifts, but we didn’t expect to see shifts like these,” said Hannah. The scientists used 17 different climate models to gauge the effects on nine major wine-producing areas. They used two different climate futures for 2050, one assuming a worst-case scenario with a 4.7C (8.5F) warming, the other a 2.5C increase. Both forecast a radical re-ordering of the wine world. 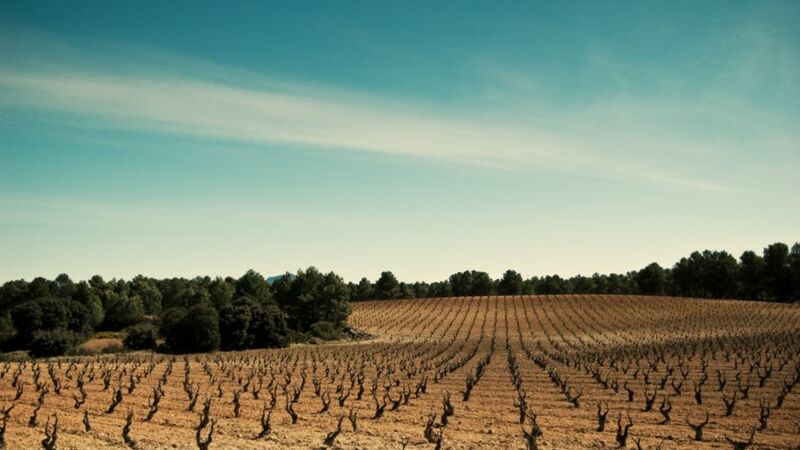 The most drastic decline was expected in Europe, where the scientists found a 85 percent decrease in production in Bordeaux, Rhone and Tuscany. The future was also bleak for wine growing areas of Australia, with a 74 percent drop, and California, with a 70 percent fall. Wine growers in the Cape area of South Africa would also be hit hard, with a 55 percent decline. Chile’s wine producers would expect losses of about 40 percent, the study found. But climate change would also open up other parts of the world to grapes, as growers look for higher, cooler ground, the study found. The industry is already scoping out potential new territory such as Tasmania. The findings could lead wine growers to strike out for wilderness areas around Yellowstone Park, or even scale higher into the hills of central China. Both areas could be prime areas for wine production, the study found. However, that search for new wine country could in turn create a whole new set of potential problems, for the wine growers of the new frontier. Some newly identified wine growing regions of the future are wilderness areas — such as that around Yellowstone Park in the US, where there are already clashes between ranchers and wolves. In China, the suitable wine growing regions of the future lie squarely in the hill habitat of the endangered giant panda. Both are going to be heading for those same hills. This article was originally published by the Guardian on 10 April 2013. Suzanne Goldenberg is the US environment correspondent for the Guardian and is based in Washington DC. She has won several awards for her work in the Middle East, and in 2003 covered the US invasion of Iraq from Baghdad. She is the author of ‘Madam President’, a book about Hillary Clinton’s historic run for the White House.